No.11, F - Block, II Main Road, Anna Nagar East, Chennai - 600102, Tamil Nadu, India. 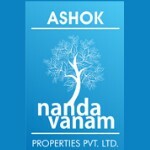 Ashok Nandavanam Private Limited is a second generation real-estate company with over 2 decades experience in selling government approved residential and commercial plots in Chennai. Our projects and layouts are located in prime areas of Chennai and its suburbs and offer a phenomenal return on investment over reasonable periods of time. As a leading real estate and plot promoter in Chennai, we bring a wealth of local expertise, top-notch professionalism and experienced leadership at every touch point. We offer plots at reasonable rates, since we purchase land directly from their owners, develop the same and sell it to customers. This gives us the leverage to offer competitive prices at all times. What has helped us stay in business is our absolute attention to customers and top-focus in exceeding their needs and expectations. By building and sustaining a culture of trust, we deliver distinguished service and play a role in enhancing the wealth of our customers.